We accept most health plans. General Examination, Cleaning, Aesthetic Restorations, Bridges and Crowns, Orthodontics, Periodontics, Endodontics (Root Canal) and others. Enjoy the benefits of a beautiful smile without the stress normally associated with a visit to the dentist. 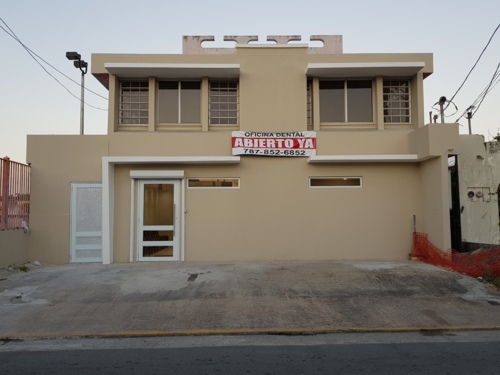 In our clinic in Humacao, we will treat your dental needs with the care and dedication that you deserve. From a dental examination and cleaning up to orthodontics, we handle any situation with professionalism, experience and kindness. 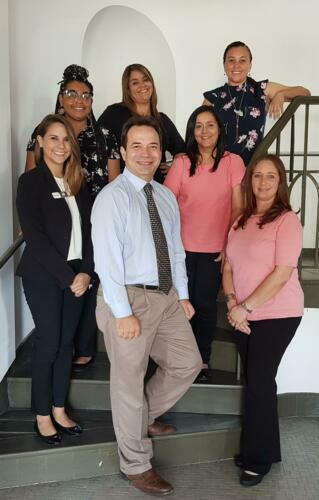 The specialized staff of our dental clinic in Humacao offers various dental treatments and will work tirelessly to improve the health of their teeth, helping you to recover a radiant smile. 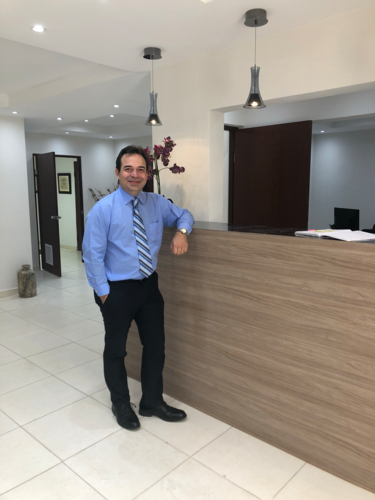 In Dental Clinic Dr. Carlos A. Rigau, we believe that patients not only deserve the very best dental care, but who also have the right to enjoy a cozy atmosphere. 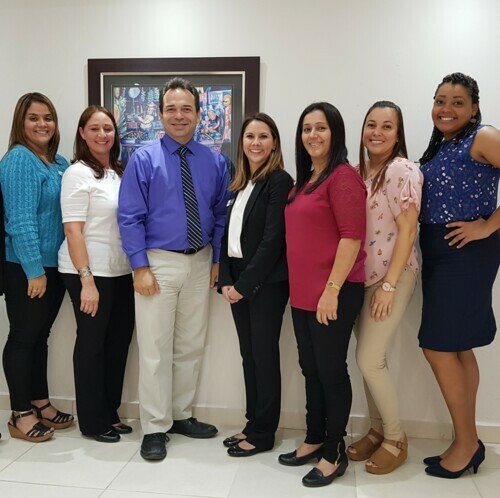 And that is precisely what we seek in our dental clinic in Humacao, therefore we provide each of our patients all the comforts of home. 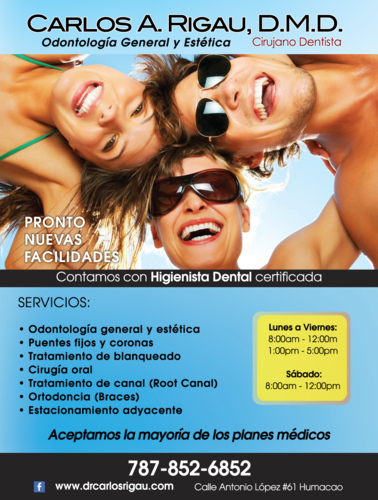 We will do everything possible to make sure that you are with the appropriate mood for their dental treatment. 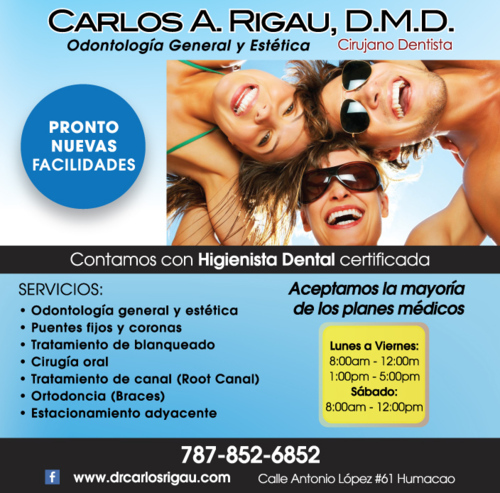 In the Dental Clinic Dr. Carlos A. Rigau, our mission is to be the leading dental clinic in Humacao and the neighboring villages of the east, with the most advanced technology, complying with the highest requirements of professionalism and excellence, to meet the demands of our patients and go beyond their expectations. 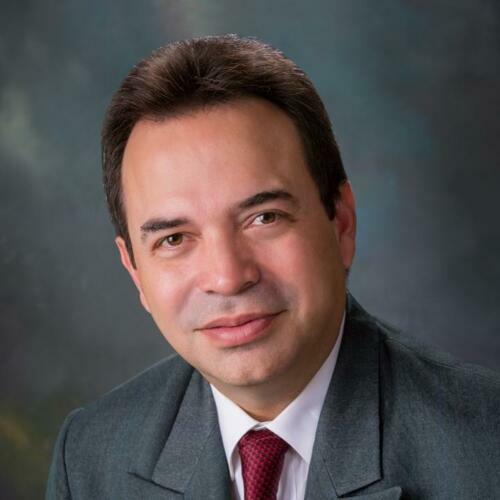 In this way, we establish a lasting relationship with each patient based on the personalized treatment and detail-oriented, providing you with our experience at your service. 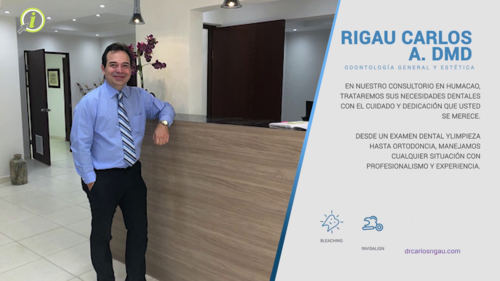 The competent team of dentists of the Dental Clinic Dr. Carlos A. Rigau will discuss with you all the options, so that you can select the treatment that gives you the best of the results.